Though he wanted people to remember him as one of the pioneers of digital cinema, for better or worse, George Lucas will forever be remembered in history as the creator of Star Wars. Born in Modesto, California, Lucas was never a bright student right from the start but he was particulary good at building stuff. After surviving an automobile accident that nearly killed him during his high school, Lucas decided to enroll in USC’s Division of Cinema at the School of Performing Arts and with that, the legendary filmmaker embarked on his filmmaking career starting with the low-budget sci-fi drama, THX 1138 and America Graffiti. 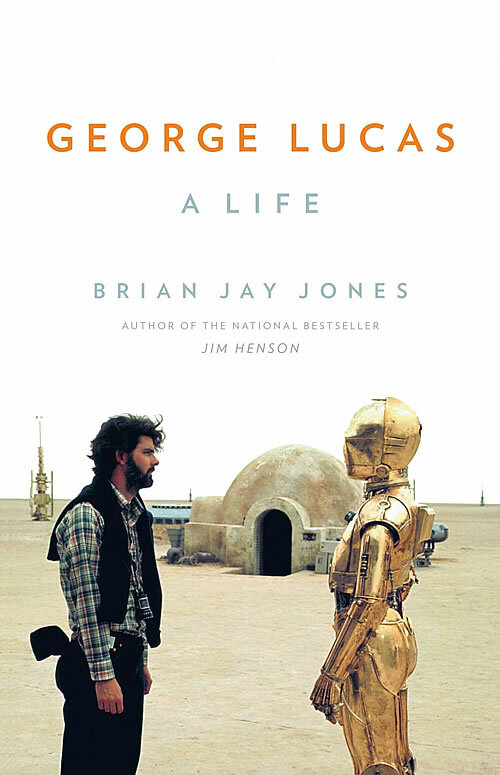 The unauthorised Brian Jay Jones’s George Lucas: A Life takes readers on a fascinating journey of one of American’s most famous filmmaker and entrepreneur. Despite being an unauthorised biography, the 560 pages book is crammed with lots of juicy details, behind-the-scenes account in the making of the original Star Wars trilogy and the somewhat conflicting nature of the rather reserved Lucas. Instead of quoting lots of unnamed sources, Brian Jay Jones took a great deal of effort to interview Lucas’ past collaborators including Gary Kurtz, his producer on Star Wars, John Dykstra one of the original founders of ILM and Lucas’s ex-wife, Marcia who is also an award-winning film editor among others. Sharing their side of the stories, we are able to grasp more of the turmoils behind the conceptual and filming process of Star Wars with Lucas being suprisingly a perfectionist and a contradictory control freak. While a lot of chapters are devoted into the movies which Lucas served as producer, writer or director (which is a good thing by the way), there’s plenty of insights into his “on-and-off” friendship with his ex-mentor, fellow filmmaker Francis Ford Coppola and his frequent collaborator Steven Spielberg as well. And you will be surprised that The Empire Strikes Back and Return of the Jedi are partly financed by the sale of action figures although it was Lucas’s noble intention not to rely anymore on studio finances and intervention to complete his space opera trilogy. George Lucas: A Life is a genuine breezy good read especially for readers and fans of Star Wars. This book is a good start to learn more about a man who worked his way up in a non-Hollywood kind of way slowly building his gigantic movie empire before selling everything away to Disney in 2012. Star Wars might be a world-wide phenomenal but no one should discount the man (for the record hates writing) who started it all.